SEDA Services is a specialised HVAC service provider. SEDA delivers high quality and energy efficient design, installation and maintenance services to a wide range of industries. SEDA has developed an impressive suite of blue chips clients and supports a number of large facilities across a wide property portfolio. Our dedicated team of technicians strive to ensure our clients receive reliable, consistent service at a competitive price. SEDA Services provide comprehensive mechanical services maintenance solutions. 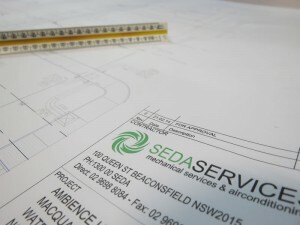 Seda Services offers a design & construct service for clients, specializing in fit outs, refurbishment and new build projects. Cogeneration is world recognized as an efficient, reliable process for recycling energy for heating and cooling processes.